From his studio in New York City, Roy Lichtenstein did cartoon inspired paintings that helped launch the Pop Art movement. 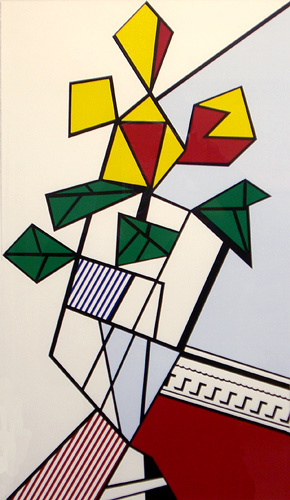 He was unique in that he developed a new visual language in an avant-garde style that was disruptive to viewers and yet was accessible and popular with them. He also did innovative art work that incorporated many late 20th-century movements and addressed a number of social issues.